Color with the power to transform your lips, your look, your attitude. Sculpts: Multi-faceted pigments create definition. Lips look beautifully shaped, sculpted, curvaceous. Hydrates: Time-Release Moisture Complex helps capture and infuse hydration. Lips feel moisturized. 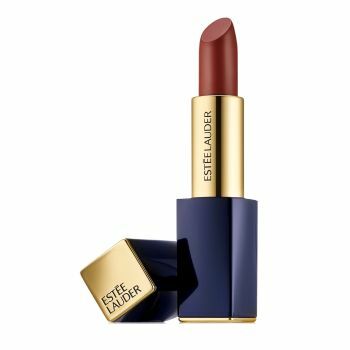 Intensifies: Saturates lips with high-intensity color—in one stroke. Lip-sculpting statement shades for all skintones. Super creamy, glides on effortlessly, covers evenly. Sensually soft and smooth, luxuriously comfortable. 6-hour wear. The lipstick bullet is shaped to sculpt the curves of your lips. The case feels like luxury in your hands. And with one click, case closed.